WOW, what a beautiful renovation. new granite kitchen with new cabinets and appliances , flooring with an amazing island. A new 1st floor laundry and half bath. 1st floor Master BR. Resurfaced fireplace, original wood floors, huge BR's upstairs. New paint through out, The basement is waterproofed with sump back up and all new concrete outside. vinyl windows, and updated electrical. Directions:w Broad to S. Westmoor. SchoolsClick map icons below to view information for schools near 224 S Westmoor Avenue Columbus, OH 43204. Home for sale at 224 S Westmoor Avenue Columbus, OH 43204. Description: The home at 224 S Westmoor Avenue Columbus, OH 43204 with the MLS Number 219003715 is currently listed at $249,900 and has been on the Columbus market for 69 days. 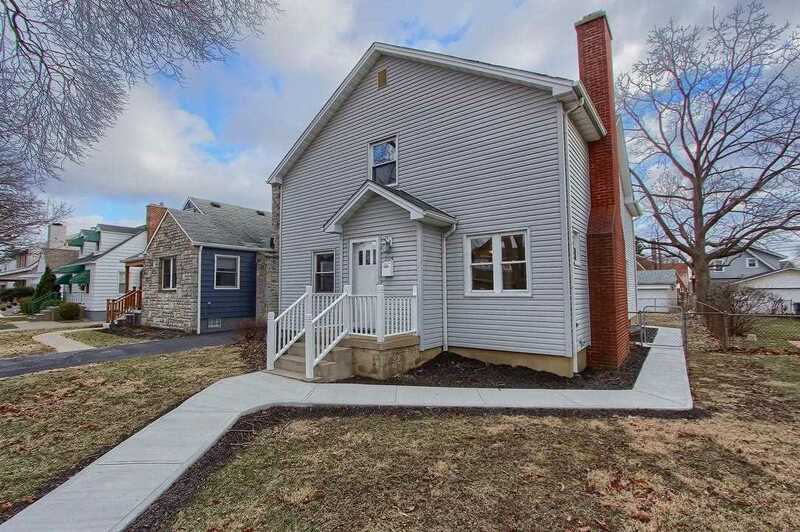 You are viewing the MLS property details of the home for sale at 224 S Westmoor Avenue Columbus, OH 43204, which is located in the Westgate subdivision, includes 4 bedrooms and 3 bathrooms, and has approximately 2485 sq.ft. of living area.